First, I put the garlic in the processor, then add everything but the olive oil. Give it a good whirl, mixing all ingredients together. Then add olive oil slowly; it will emulsify and you can taste and add salt and pepper to taste and adjust the dijon to your liking. You may start with less and add. An option is to squeeze in a little lemon juice. I am pretty true to this recipe and it always rewards. This is awesome over almost any greens. Keep excess in fridge for about 3 or 4 days. First, I chop garlic then add anchovies to the processor, and mix together. 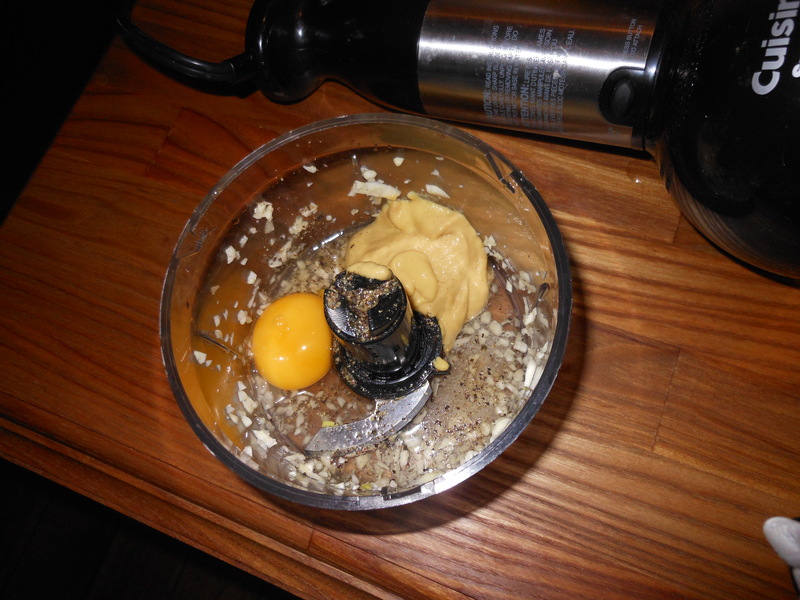 Then add lemon juice, mustard, Worcestershire sauce, and egg yolk. I mix all together, and then slowly add olive oil in, mix together and taste for salt, because the anchovies and mustard give it a lot of salt and kick. You can always add more salt, but you can’t take it away. Add pepper. Pour dressing on about two heads of romaine. I’ve stretched it to 3 and I know they sell 3 heads in a bag–it’s a bit skimpy, but doable. Mix together and right before serving, add cheese; or let everyone do their own with a hand grater! I buy Organic Romaine heads (3 in a package). I prefer organic. 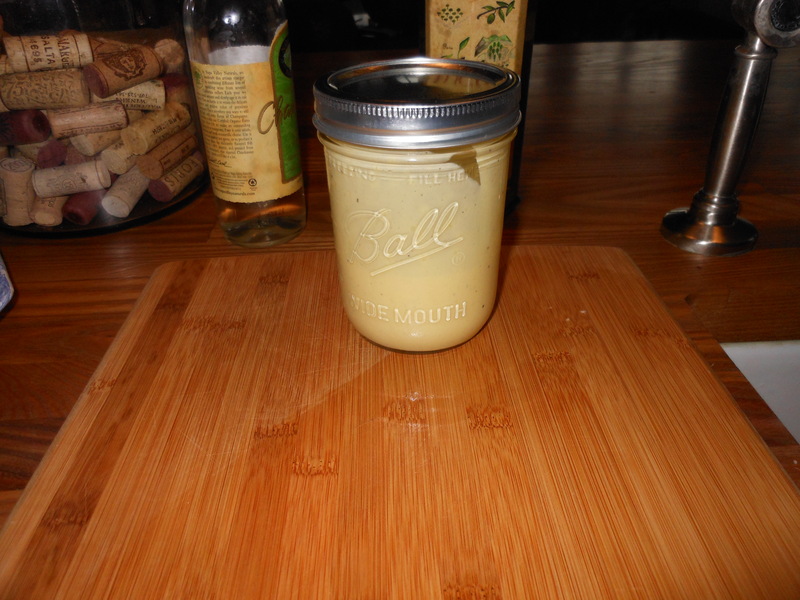 This entry was posted in Salad, salad dressing and tagged basics, Mustard Vinaigrette, salad, salad dressing. Bookmark the permalink.